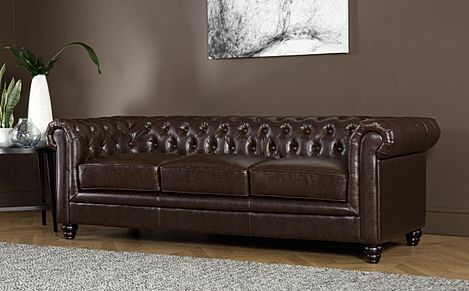 Bold, stylish and solid – the Chesterfield 3 seater has all the traditional features you expect from a design classic. 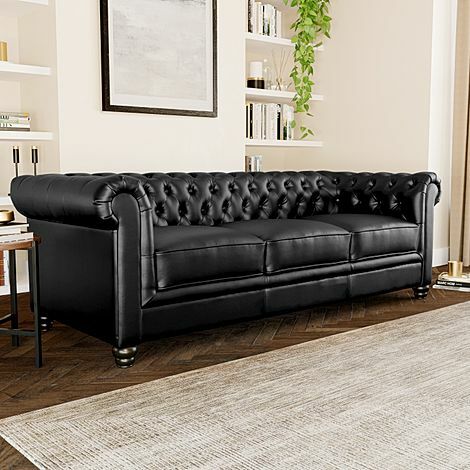 Our spacious and stylish Chesterfield 3 seaters have elegant scroll arms, deep buttoned backrests and solid, turned wooden legs. In contemporary fabrics or traditional leather they're surprisingly versatile, always in fashion and make a classic statement in any interior. 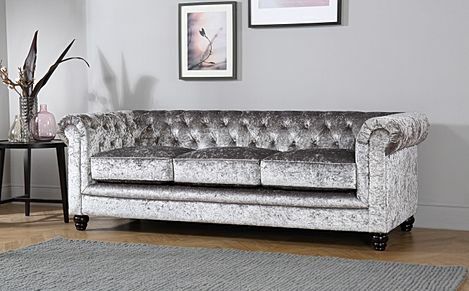 Furniture Choice offers a great variety of sofas in different styles, and combined with fast and free delivery to most parts of the UK, shopping with us is convenient and fuss-free. 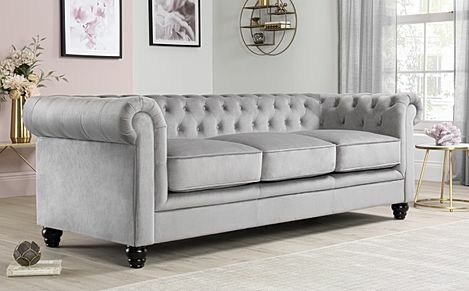 With its timeless tufted details and elegant rolled arms, our Chesterfield sofas are designed to impress from every angle. 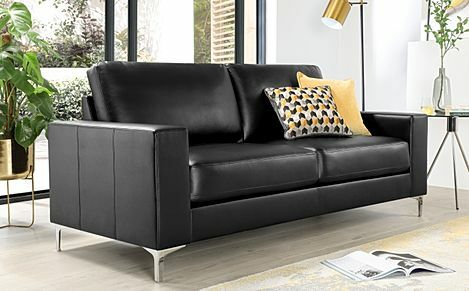 Choose from luxurious leather 3 seater sofas, to ultra-cosy 3 seater recliners that are all about lounging back with ease. 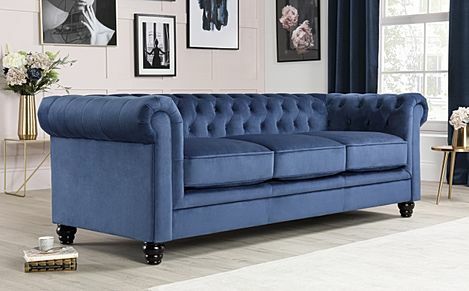 Alternatively, you can also go down the comfy, contemporary route with one of our cosy fabric sofas, or channel a bit of old Hollywood glam with one of our lovely velvet sofas. 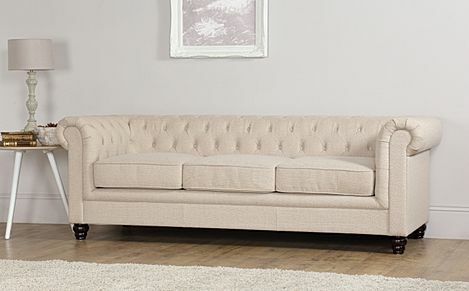 All of our furniture is carefully crafted with hard wearing and sustainable materials, so rest assured that you'll be investing in a quality product, at amazingly cheap prices. 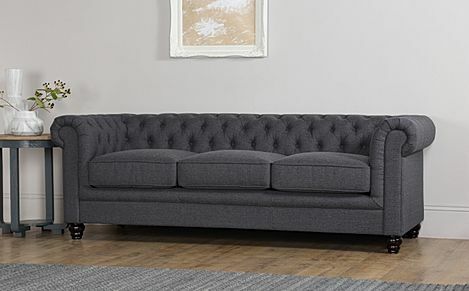 Ordering from us is simple - once you've chosen your sofa, just select your preferred payment method and pick a delivery date at checkout.